We provide quality dental care for the entire family. 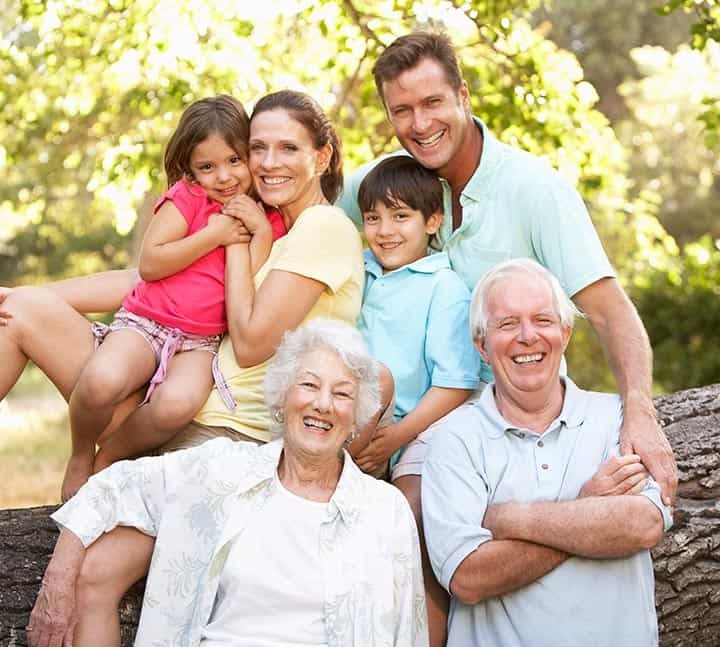 At Aspen Springs Dental, we believe that oral hygiene is best when it is a family affair. That is why we are proud to offer comprehensive family dentistry services to patients in Centennial and its surrounding communities. Obviously, we know that you have plenty of options when it comes to your family’s dental care, but we believe that our family dentistry can provide the best service for every member of your family. Read on to discover how our service can support a healthy and happy lifestyle for your family. Families are busy. Between work, school, family commitments and activities, the modern American family rarely has time to waste. That is why our family dental care is ideally suited for your hectic lifestyle. Having all your dental care at the same location is extremely practical. It is easy to schedule multiple appointments at the same time in order to minimize the number of trips you have to make to the dentist. This can make it much easier to fit routine dental care into your family’s busy lifestyle. There are too many other commitments in life to worry about navigating trips to multiple dentists on a yearly basis. Our family dental care helps you streamline your oral hygiene, which allows you to get back to your family’s other commitments. Anyone who has kids knows that they learn by example. All parents are dismayed when their children start picking up on their bad habits. However, your kids can also learn your positive habits as well. This can include oral hygiene when you use our family dentistry services. It is one thing to tell your children to brush and floss. It is entirely another when they see you doing it as well. Therefore, when you go to the dentist as a family, you are setting a powerful example of the value of taking care of your teeth. This will help your children internalize the importance of routine dental care, which can have real lifelong dividends. It is also a great way to keep parents accountable. It is easy to let your own dental care slip when life gets busy. However, when you schedule appointments alongside your kids, it is much harder to justify skipping them. This means that the family experience is better for everyone. Family dentistry is also important because it builds longstanding relationships. As children grow up, they often outgrow pediatric dental services. This means that the child must find a new dentist. This becomes especially problematic when the child moves out of the house. Rather than find a new dentist, most young adults will simply stop going to the dentist. This lapse can have serious consequences for your child’s mouth. Family dentistry, on the other hand, allows your child to maintain a consistent, longstanding relationship with a family dentist. This makes it more likely for your child to continue seeing the dentist as a young adult. Your children could even continue at our practice when they start a family of their own. Family dentistry has that kind of power. Our family dentistry is comprehensive. We are proud to offer a wide range of services to make sure all your oral hygiene needs are handled at the same facility. No matter what work you or your child may need, we are confident that we have the skills and the experience to get it done. We have extensive experience with cosmetic dentistry, and we also provide implants, crowns, laser work and more. We even provide emergency dental care for your most unexpected needs. All these services are offered alongside our family dentistry. This is why we are confident that our service can best serve you and your family for years to come. We know that you have options for dental care. However, we believe that we can provide superior service at Aspen Springs Dental. Our family dentistry is specifically designed to support busy families with all their oral hygiene needs. Let us manage your family’s teeth, and we can promote lifelong habits through longstanding relationships. Our streamlined, comprehensive care is a perfect fit for busy families. Better still, Aspen Springs Dental is renowned in the community for the quality of its service. Visit our office today to see the difference for yourself. We look forward to taking care of your family’s teeth. Call to schedule an appointment for any member of the family today.